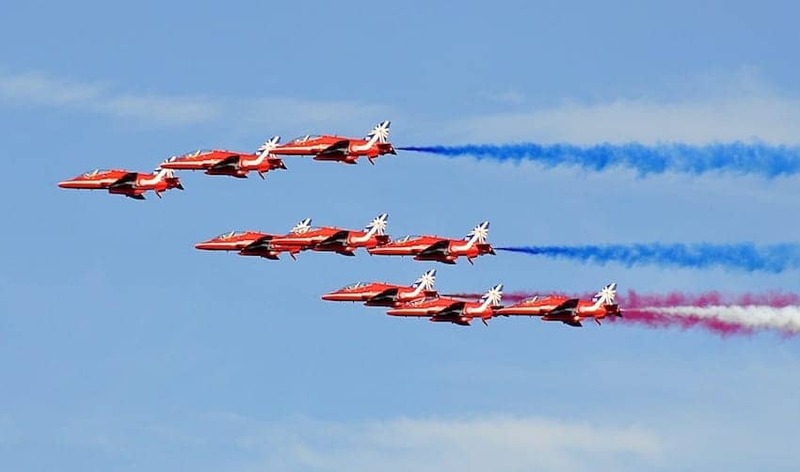 Officially known as the Royal Air Force Aerobatic Team, the Red Arrows is one of the world's premier aerobatic display teams. Flying distinctive Hawk jets in formation, the Red Arrows perform extensively through the summer display season in the UK and overseas. Their diary of displays includes regular events and one off shows and fly pasts to mark special occasions.